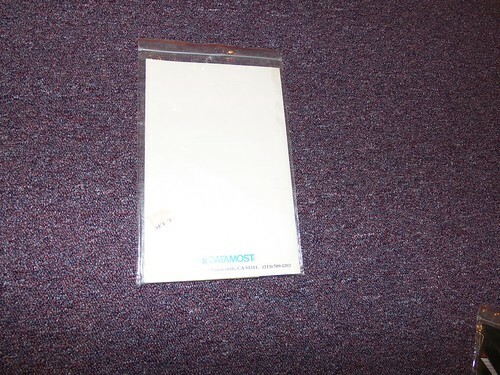 The officially licensed ColecoVision Super Game Module. 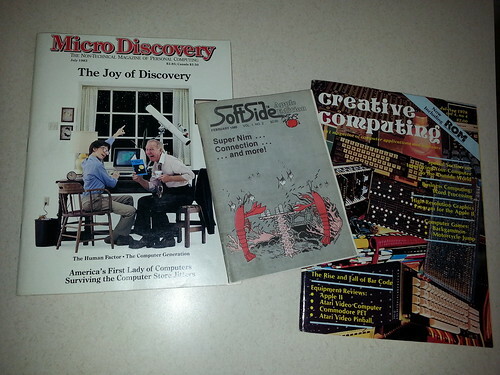 Creative Computing (1978), SoftSide Apple Edition (1980), and Micro Discovery (1983). 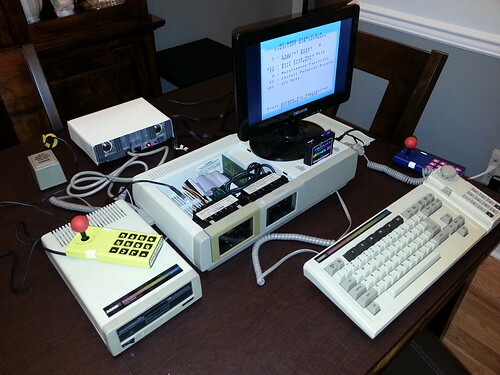 My TRS-80 Model 4 awaiting a flash drive upgrade as an Oric-1 and modded Xbox look on. 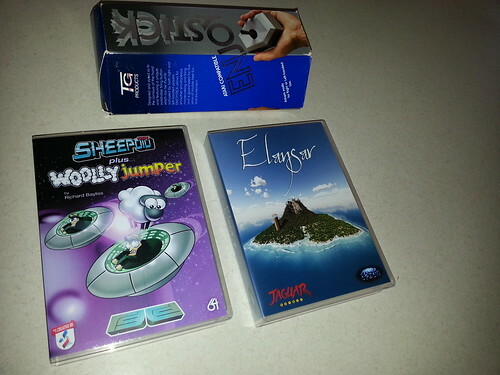 Newly created Atari Jaguar and Commodore 64 cartridges. 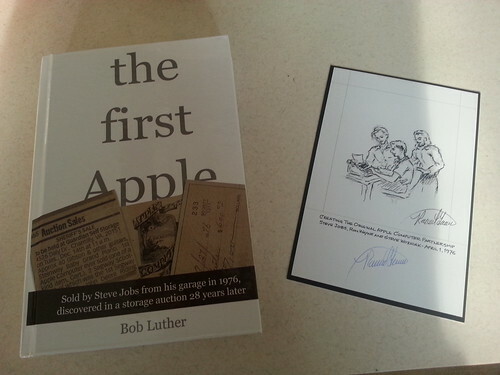 Bob Luther's The First Apple hardcover book and signed art arrived via Kickstarter. 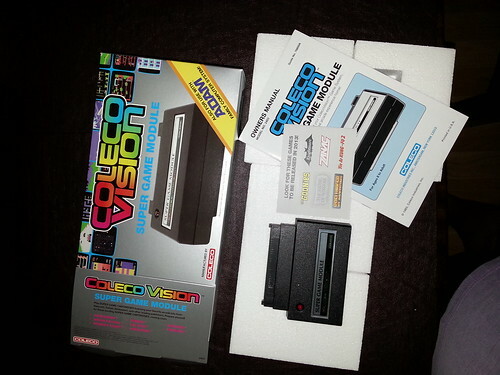 My Coleco Adam booting to a compact flash device. The developer forgot to send me the printer card that goes in the middle slot to allow this to auto boot, i.e., without a disk or data pack. 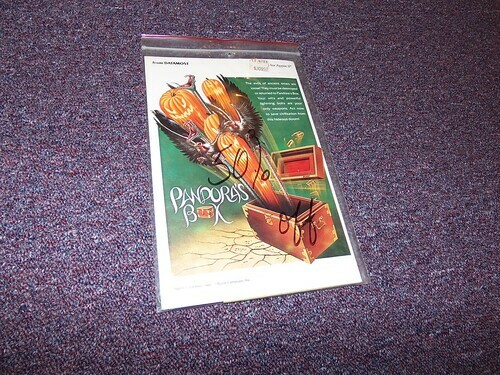 That should arrive soon. A new Nexus 7 (32GB) [Christina has this, which will probably replace her iPad 2. 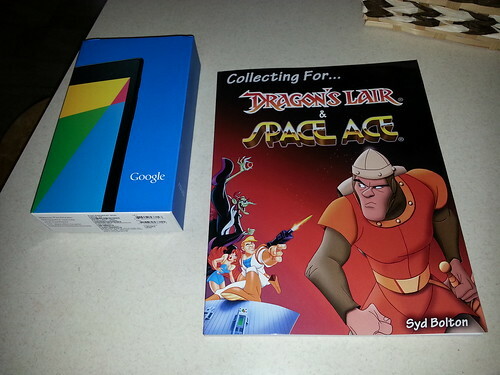 I'm too invested in iPad stuff, so I'll replace my iPad 2 with an iPad 5 around September] and Dragon's Lair book. I'll probably shortly do a blog post on the latter. 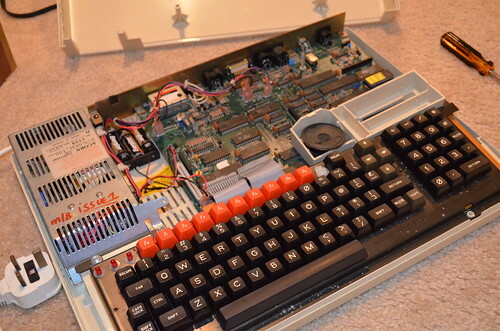 The inside of my Acorn BBC Master 128. 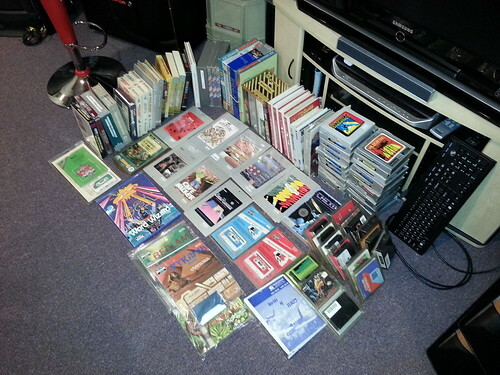 A quick photo of my boxed collection of TRS-80 Color Computer (CoCo) software. After the history book is published, I'll provide additional coverage. Well is there some computer you are looking for? I have a few. If I have something you want to trade for we can try to establish something like that. We can discuss it offline via email if you wish, or, if it's easier, just let me know what you have to trade. It's up to you. 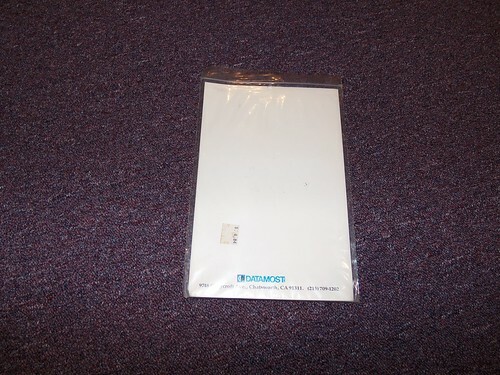 I have never found a PCjr for an affordable price around here. 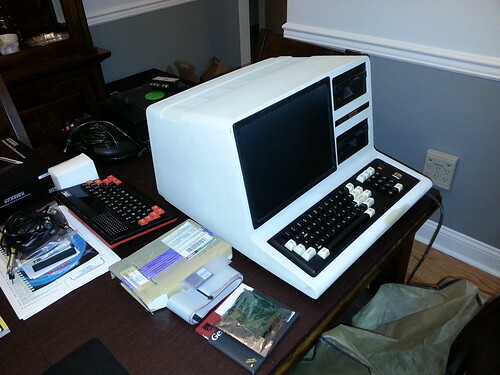 It's one of the classic computers that I would like to get my hands on along with a Tandy 1000 RSX which seems impossible to find. They are so interesting as they appear to be a direct response to the more affordable home PC's of the time. 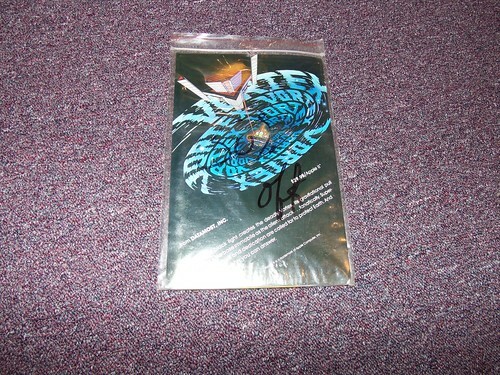 It's cool to see that you have one. I have three PCjr's, one with a Racore PC expansion option that at the moment doesn't seem to work. The other two units do seem to be working perfectly, though I'd like to do further testing to be sure, but if so, I'd probably be willing to let one go in some manner, either sale or trade. I only have a Tandy 1000, 1000 EX, 1000 SX, 1000 TX, and 2000 HD, of that family (only one of each). No RSX.